This Flat Ring Snaffle Bit was engineered to last for many years. The Adjustabit that we offer changes sizes simply by twisting the shanks in opposite directions to increase or decrease size. This Adjusta Horse Bit from Coronet is one of the most popular Horse Bits for your Horse. View the image above to see how sturdy the connection is. This bit is an extraordinary Adjusta Bit Flat Ring Eggbutt Snaffle by Coronet that will provide maximum comfort for your horse. 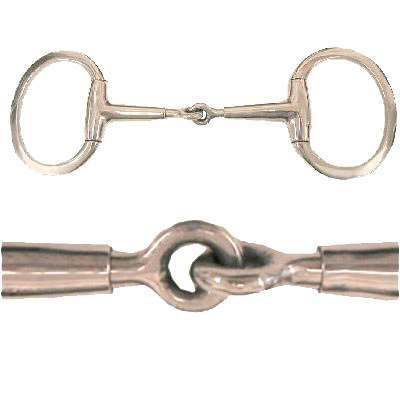 Only the best Adjusta Bit Flat Ring Eggbutt Snaffle items by Coronet are sold at Horse Tack Now. This item adjusts from 4 3/4'' to 5 1/2''.